Smiths Medical Asd Inc Y Connector 5mm I.d. X 7mm O.d. Y Connector, 5.0mm I.d. X 7.0mm O.d. 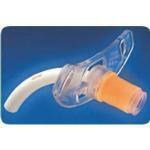 Respiratory Care Accessory. 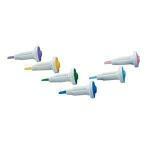 Smiths Medical Asd Inc Uncuffed Fenestrated D.i.c.&reg; Tracheostomy Tube 8mm Size 73mm L, 8mm I.d. X 11-3/10mm O.d. Smiths Medical Asd Inc Uncuffed Blue Line Tracheostomy Tube 6mm I.d. 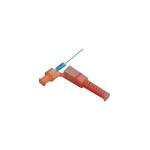 Blue Line Trach Tube, Uncuffed, 6.0 Mm Id, Each. Smiths Medical Asd Inc Uncuffed Blue Line Tracheostomy Tube 7mm I.d. Blue Line Tracheostomy Tube, Uncuffed, 7.0mm Inner Diameter. Smiths Medical Asd Inc Uncuffed Blue Line Tracheostomy Tube 8mm I.d. Blue Line Tracheostomy Tube, Uncuffed, 8.0mm Inner Diameter. Smiths Medical Asd Inc Uncuffed Blue Line Tracheostomy Tube 9mm I.d. 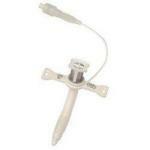 Smiths Medical Asd Inc Uncuffed Fenestrated D.i.c.&reg; Tracheostomy Tube 7mm Size 70mm L, 7mm I.d. X 9-9/10mm O.d. Pediatric Tracheostomy Tube With 15mm Connector, 3.0mm Inner Diameter, 5.2mm Outer Diameter, 36mm Length. Pediatric Tracheostomy Tube With 15 Mm Iso Connector. 3.5 Mm I.d., 5.8 Mm O.d., 40 Mm Length. Sure Grip Resusciation Bag With Dual Swivel Elbow. Adult Mask And 40" Flexable Tubing.